Get the brightest smile on the darkest place! 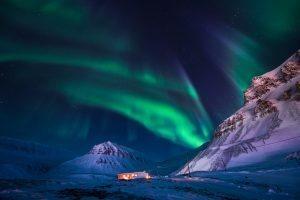 Enjoy a piece of the longest night of the year, discover the delight of Svalbard, when the sun leaves and let the auroras borealis shine above the snowy mountains and fiords. Admire the beauty among the shapes of the night, the silence, the snow and the starry sky and find all kind of beauty in this exotic destination. 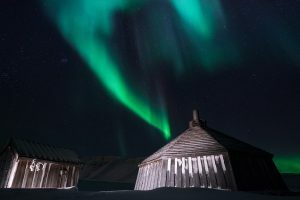 Follow the tunnels underneath the glaciers and get amazed by the ice caves, the city lights flickering on the sea, or visit a ghost town walking in the moonlight. Only 2500 NOK per person, the program is flexible and other wished activities can be set in during free time. Accommodation in single or double room by request. As an additional option we can prolong your stay with us and book more activities. Arrangements can be made at the reception desk during your arrival.